TESOL research papers address teachers for English speakers of other language issues in education and ESL instruction. TESOL research paper due and don’t know how to start it? How about like this? 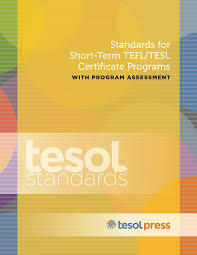 TESOL research papers report that most states within the United States ascribe to the ESL standards presented by TESOL (Teachers for English to Speakers of Other Language) for teaching students from pre-kindergarten through completion of high school. TESOL research papers from Paper Masters are custom written and show TESOL standards are utilized across the nation even though there are numerous languages that children are native speakers of and from a multitude of cultures. Generally, ESL instruction is taught by teachers that are not proficient in any language other than English. According to tesol.org, TESOL states that non-native speakers of English may require six to nine years of training to become proficient in utilizing English as their academic language. This fact suggests two points. The first is that ESL is not the same as bilingual education nor does it truly fit into the category of second language development. The first grader(and some other primary grades) who enters an ESL classroom will be handicapped within the regular classroom for a minimum of six years. This may explain why non-native speakers of English generally are lacking in academic skills and tend to perform poorly on examinations and national or state tests. Logically, this would suggest that during these six to nine years, the child would be best served by learning in classrooms taught in their native language. There are four different Program Models for ESL being used in classrooms around the nation. ESL pullout is listed as the program in which the students have at least one class period per day in the ESL classroom. ESL self-contained classrooms are considered programs in which the student spends most of the day in a self-contained ESL classroom. Sheltered Content classes are classes in which students are taught academic content by subject matter teachers in classes designed specifically for their ESL needs. Bilingual classrooms are those in which students spend at least part of the day being taught through their home language. ESL Students and Curriculum research papers discuss two major trends that have emerged in the educational system involving ESL students. Bilingual Teachers - America is a diverse society, changing in demographics all of the time and committed to cultivating an environment where all ethnic factions are respected and valued. Spanish Bilingual Education Research Papers are custom written to address any argument for or against bilingual education. Cross Cultural Education research papers analyzes recent original scholarly research articles on the subject of cross-cultural education. Paper Masters writes custom research papers on TESOL and address teachers for English speakers of other language issues in education and ESL instruction.